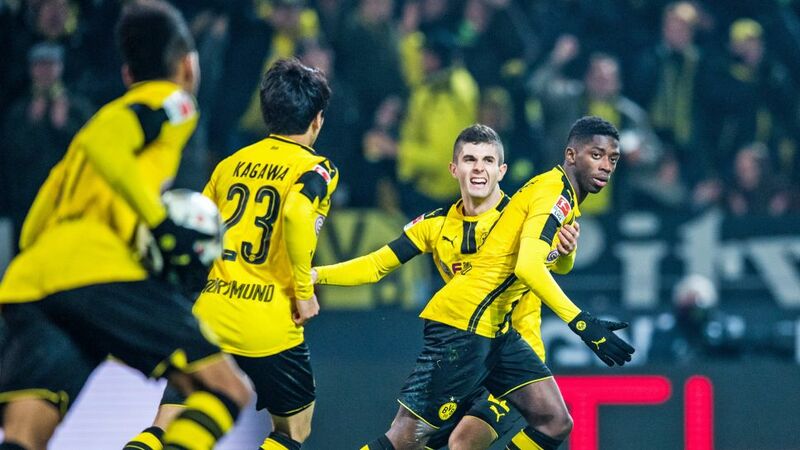 Borussia Dortmund CEO Hans-Joachim Watzke has set his club the ambitious target of unearthing the next Christian Pulisic or Ousmane Dembele, telling BVB's Annual General Meeting on Monday that greater effort is needed at youth academy level. Dortmund recently saw Sven Mislintat, their chief scout responsible for the arrival of Robert Lewandowski, Shinji Kagawa and Henrikh Mkhitaryan, leave the club to join Arsenal. Mislintat had also been instrumental in orchestrating the recruitment of Pulisic from the USA and Dembele from French side Rennes, fending off a host of suitors for both talents. Watch: Christian Pulisic ready to star for Dortmund! Watzke acknowledged extra focus on the development of the club's youth academy and strategy was required to keep Dortmund in the hunt for the planet's best fledgling talents. "The Mbappes and Dembeles don't come to BVB any more when they are 20. Not to Bayern either," noted Watzke. "[The youth academy] is the area with which the next Dembeles and Pulisics will come to BVB again. We have a big challenge ahead of us." While Watzke also stated the club remains in good health financially, he highlighted the troubles Peter Bosz's men have on the pitch in front of the whole squad, who received a mixed reception from club members when they arrived in the auditorium. "There must be reasons for the current situation, and mistakes have also been made, for sure," Watzke, whose club have not won in ten competitive outings, told the audience before turning to Bosz himself. "I have the clear expectation from you, Peter, that you put everything on the table, leave no stone unturned. We have to get back on the right track quickly. Qualifying for the Champions League comes before everything." To do that, Dortmund must finish in the Bundesliga's top four, and their position would have been considerably rosier had they held onto their 4-0 half-time lead against Ruhr rivals Schalke on Saturday. Instead, Bosz's side capitulated in front of their own fans at the Signal Iduna Park, taking just a point from a game they should have won which — coupled with Borussia Mönchengladbach's defeat of Bayern Munich — saw the 1996/97 UEFA Champions League winners drop to fifth place. Watch: Nuri Sahin's reaction to Dortmund's amazing derby draw. Watzke tried to deflect some of the fans' ire by aiming a well-targetted jibe at their hated neighbours from Gelsenkirchen. "When our friends from Schalke snap out of their delirium tomorrow or the day after tomorrow, they'll see that they only took a point from the game, just like us."